Get Your Low Rate Now! How do current mortgage refinance rate trends look? Mortgage rates can be unpredictable. They fluctuate often and no one can be absolutely certain of refinance rate trends, and what to expect in the future – even those responsible for dictating the rates. Over the past couple of years, the Federal Reserve Bank has made every effort to keep interest rates from going sky high, but there are many factors that go into determining what rates should be in order to maintain economic health. 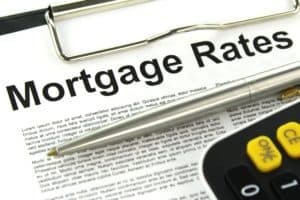 When a borrower decides to purchase a new home, or refinance their purchase mortgage, one of the biggest considerations should be the interest rates. Whenever a consumer borrows money, they will pay a fee so lenders can make a profit. The lower the interest rate, the less a borrower will likely pay over the life of their loan. Following mortgage rate trends will help borrowers make informed decisions about the timing of their refinance. Since the housing crisis in 2008, interest rates have been at a historic low in the United States. Homeowners who purchased or financed a home pre-2008 may be paying 6 percent or more on their mortgage. The last several years have created urgency for homeowners to obtain a mortgage refinance while the rates are low. Many people believe that the current rates are a once in a lifetime opportunity. Typically, if a homeowner can find an interest rate 2 percent lower than their current loan, it’s an indicator that it might be time to refinance. Many factors influence the current mortgage rates and the mortgage rate trends, but supply and demand is one of the main issue driving the rates. When consumers are applying for more loans, lenders increase interest rates on the loans. When not as many people are applying for home loans, then rates will decrease so that lenders will attract consumers into getting a loan. Currently, according to the latest data from the Mortgage Bankers Association, the demand for is growing this year, particularly in the refinancing realm. Another factor that persuades mortgage rates is the state of the current economy. Mortgage rate trends estimate that rates will vary by the day and hour. If the number of people that are unemployed is elevated, then rates will be lower because the bad economy keeps people from the housing industry. However, if jobs are plentiful and the economy is flourishing, then mortgage rates will increase. Adjusting interest rates is also a way for the Federal Reserve to keep inflation in check. If the labor market is tight, and employers chase employees by increasing wages, inflation starts to occur. As a reaction, the Federal Reserve will increase interest rates to prevent the economy from overheating. The bond market also plays a role in how mortgage trends fare. The SEC describes the relationship as a see-saw affect. The higher market interest rates means the lower fixed-rate bond prices. The lower market interest rates the higher fixed-rate bond prices. While mortgage rate predictions are difficult to qualify, experts have attempted to make an educated guess of the future mortgage trends. The United States is more than seven years its recovery from the housing crisis, and quite a bit has changed over the years. The unemployment rate is at a normal level, but because the Bureau of Labor Statistics only counts adults seeking employment in their figure, the true rate might actually be unusually high. Some news outlets site nearly half of unemployed Americans stopped looking for work. This scenario has had a potential impact on the feds decision to keep interest rates relatively low for the time being. Unfortunately, this has also created a tighter labor market, which means in order to check inflation from occurring, the feds must balance the unemployment consideration against inflation. The latest presidential elections also have an impact on interest rates. New policies enacted by the administration, as well as outward investments, could mean changes in future interest rates. Home builders also tell a part of the trend story. Even though homebuilding rates are still lower than pre- housing crisis peak levels, home builders are satisfied with present conditions for their industry. Mortgage rates can change quickly, but the change is usually gradual. Consumers are predicted to ask for a new loan or refinance loan based on their personal finances, not on the outlook of the market. If you’re considering a refinance, it is probably wise to take advantage of the current low rates now instead of waiting and hoping that they go even lower. All signs point to rates increasing over time rather than decreasing. It will be difficult to save money if a consumer delays financing until the interest rates rise. Next post: How to create a mortgage refinance checklist?